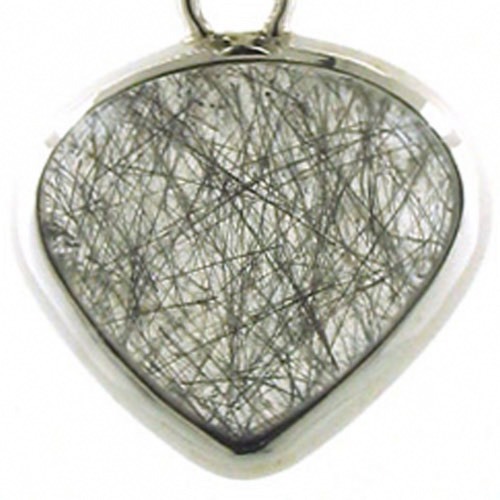 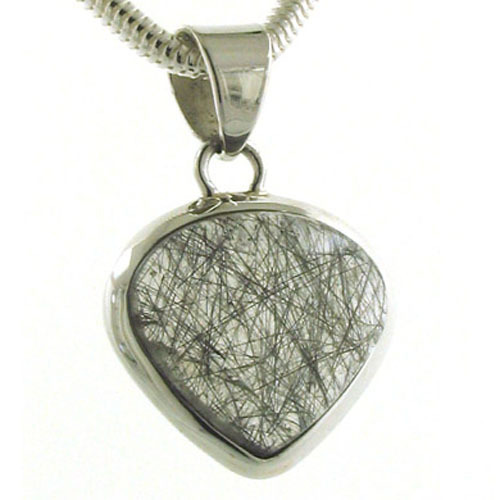 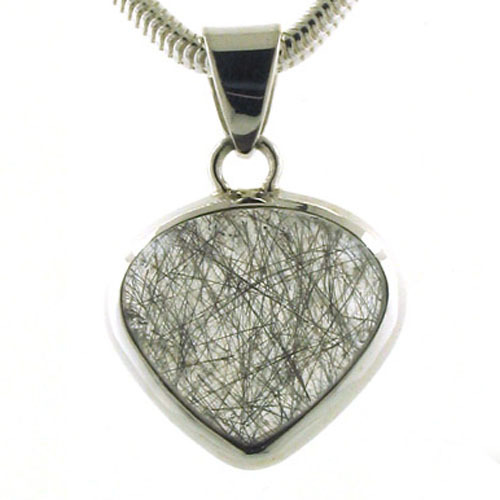 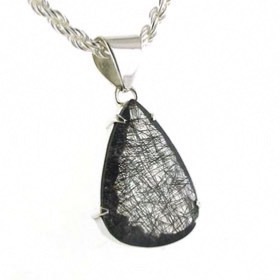 Black rutilated quartz silver heart pendant. 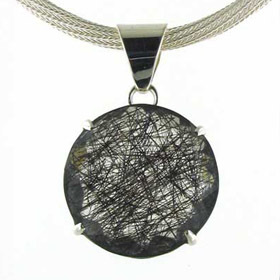 Displaying a riot of fine rutilation, this is a superb example of black rutilated quartz, also known as tourmalinated quartz. 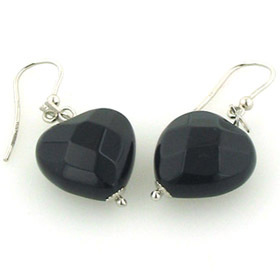 Set into sterling silver, this gemstone heart makes a unique piece of jewellery. 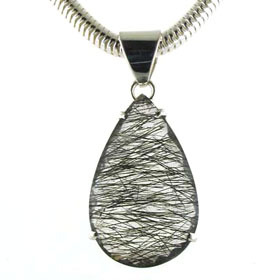 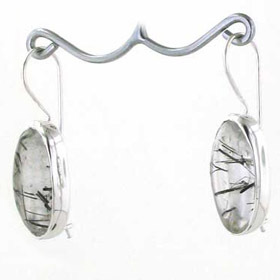 The fine needles of rutilation are evenly suspended inside the crystal quartz. 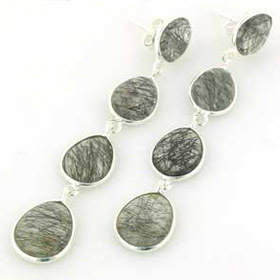 For coordinating earrings see Rosie. 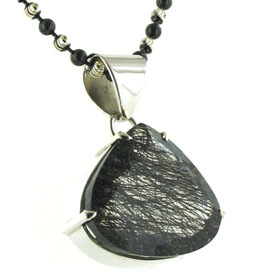 See our entire collection of gemstone pendants. 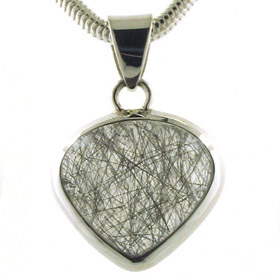 For the ideal sterling silver chain to wear with this special pendant see our collection of Italian sterling silver chains. 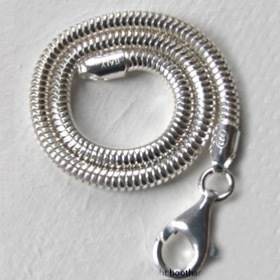 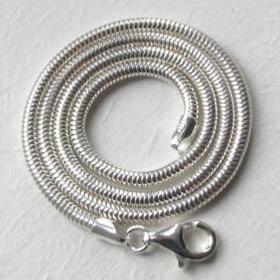 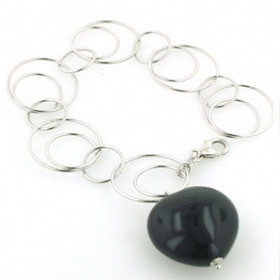 The chain shown is our 3mm silver snake chain(see below).